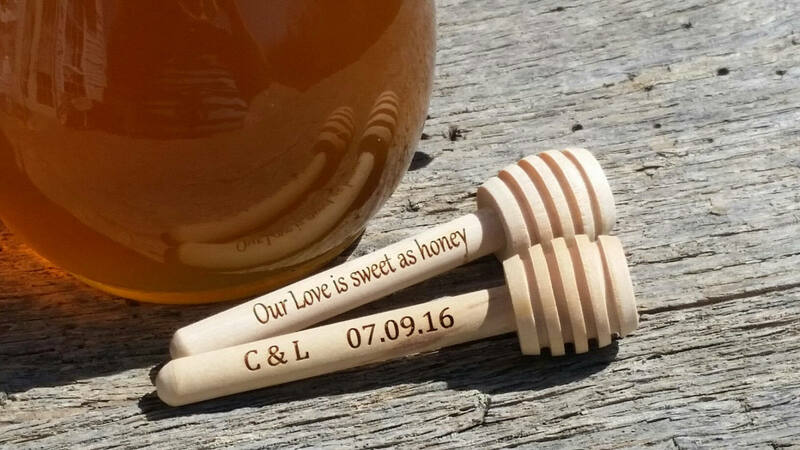 Planning a bridal shower and your looking for unique favors? The engraved MINI dipper is FINALY HERE! Oh these mini dippers are the Perfect match to any honey favor and they are sure to impress your guests! 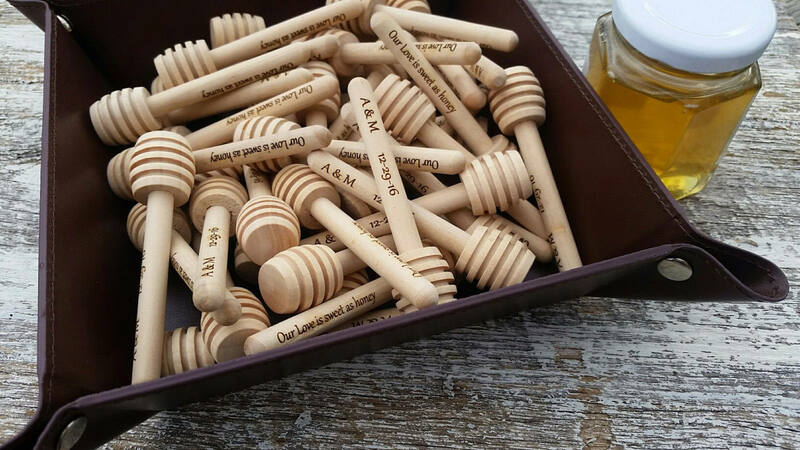 Our personalized 3.5" wood dippers with a .65" head are very smooth and have a nice feel to the touch. They will fit in jars with an inside mouth opening of .75 inch or grater.